Last year we were taken aback by a project that sought to conquer the world’s best driving road – according to Clarkson and co. – during winter time with a BMW X6 M50d. The people behind that amazing project are now back and they traveled to a different part of the world this time, but still backed by BMW. 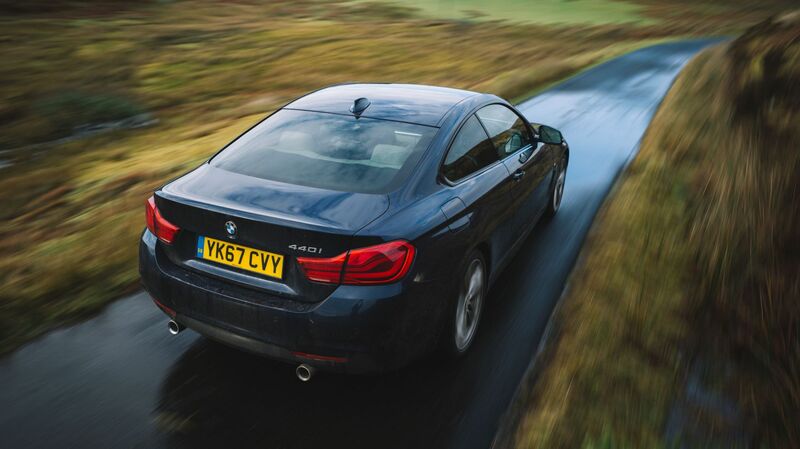 This time though, instead of a muscular SUV, they drove across Scotland using a more civilized 4 Series Coupe. The people behind the amazing shots you’re going to see in the clip below are Stanislav Cociorva and Ecaterina Cernei, a self-described creative couple, known as “Traveller’s tales” or simply Stanly & Katya. 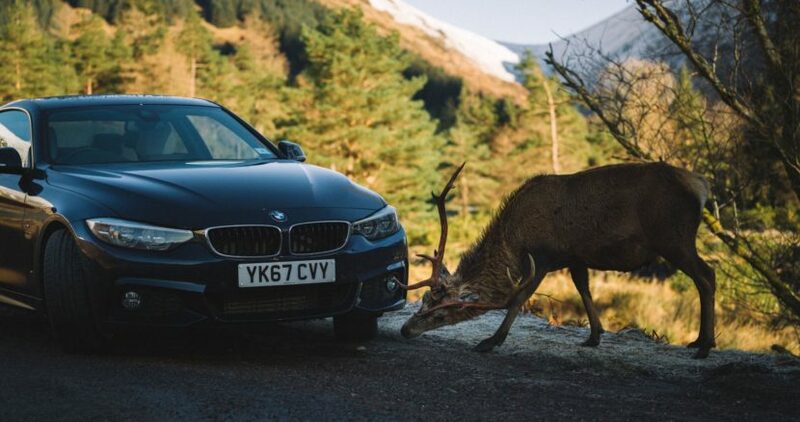 The two asked BMW for help in their endeavor and they were joined on their trip by a BMW 440i which proved to be good enough to tackle even the most remote roads in Scotland, as they were seeking for the perfect shots for their video. “When it comes to travel – weather always plays an important role. But it was the first time that we were constantly reminded about it by Yellow and Amber warnings. Winter weather, heavy snow and high winds is what those said, and it described our journey quite nicely! As soon as we entered Scotland, it started to snow. We then remembered all our friends who said <<it barely snows in Scotland>> and a chance to rethink our plans while standing in a 25-mile long highway jam. After 6 hours of complete standstill, we also found that BMW sporty coupe has a napping-approved cozy interior that was able to keep us warm,” said Stanly. “To reach all of the planned landmarks we had to get up early and check special weather apps for wind, temperature and precipitation forecast. Then we drove to those locations with a chance of better weather. With 250-300 miles driven every day, quite often, our mornings would start with snowy winter views and it looked like sunny spring by noon. This added to the magic of the landscapes we encountered. 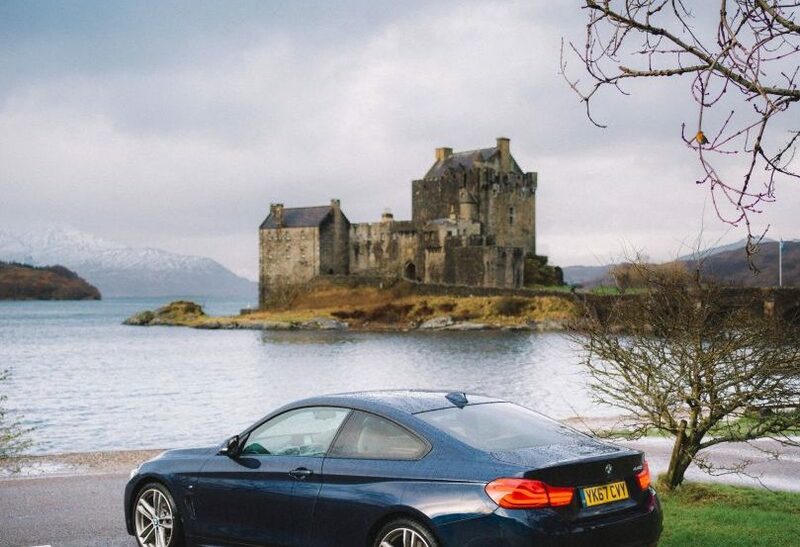 With the help of BMW we were able to outwit weather conditions and visit multiple marvelous locations, see wild animals up close, drive scenic roads and meet many warmhearted people of Scotland”, he added. The result is a short travel film – “The Scotland Colors”. It is a beautiful selection of the most impressive Scottish landscapes. Among others, you’ll find places like the Glenfinnan Viaduct known mostly from the Harry Potter movies, Glen Etive road from the James Bond “Skyfall” motion picture and others. It truly is a beautifully shot video that could easily be used by the UK government to promote tourism and entice visitors to stroll away from the crowded cities.